Mowercity.com has been servicing then lawn care business for over 25 years selling Top Qulality lawn mower parts all over United States for a very low price and very fast shipping. You can Trust Mowercity.com for all your Lawn mower parts needs. Stens® supplies quality lawn mower parts , chain saw parts and original equipment parts and accessories to more than 50,000 customers worldwide through its U.S. and international distribution network. 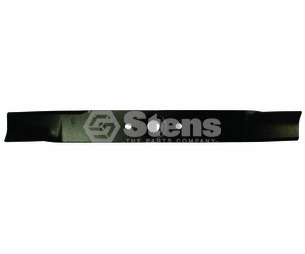 Stens offer over 7,000 lawn mower parts products including Lawn Mower blades, Lawn Mower belts, Engine Air filters, Chain saw chain Chain Saw bars, Engine spark plugs, internal engine parts, golf mower parts, and golf cart parts and accessories. WE stock every item Stens carries along with a variety of universal products such as oil, lubricants, safety gear, trimmer line, tools, and hardware. In addition, We are exclusive Stens distributor for the Lawn Mower parts and Golf Cart parts along with distributes Trimmer Trap trailer accessories. We offer the Widest Selection Of Replacement Lawn Mower Belts, Lawnmower Belts, lawnmower belts, belt, tiller belts, lawnmower belts, tractor belts, for most lawn mower suppliers such as MTD lawn Mower belt, Ariens Lawn Mower belt , Toro Lawn Mower Belt, John Deere Lawn Mower belt and many more. We carry thousands of high quality Lawn Mower OEM and Replacement belts for many different types of equipment. Please note we only sell the best belts like True Blue Power Rated lawn mower Belts, and OEM Specification Lawn Mower Belts. Most of our Lawn Mower belts have been manufactured with kevlar for longer life. Our goal is to provide the highest possible quality lawn mower belt at the lowest possible prices. We can ship your orders anywhere in the USA, and also worldwide. So no matter where you are we can get your orders to you quickly.